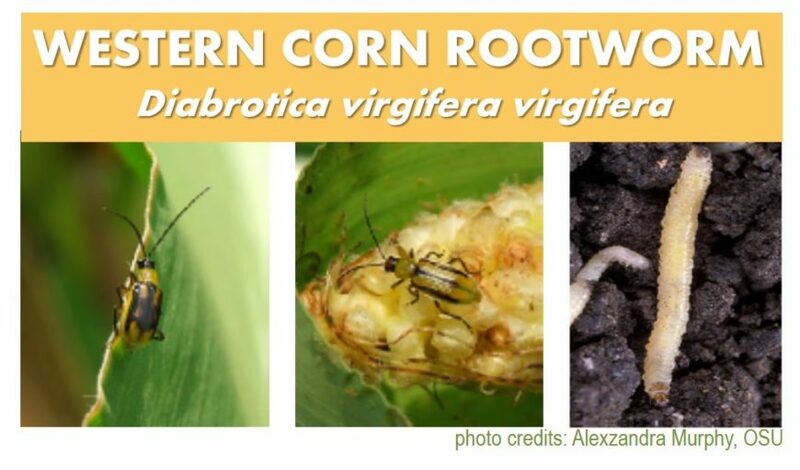 Western Corn Rootworm (WCR) is considered the most important corn pest in the U.S.1 . Most of this damage occurs in the Midwest, where corn acreage dominates the landscape. Over the last 50 years, farmers have used cultural, genetic, and chemical control strategies to lessen the effect of WCR and protect yields. Life histories are similar: larvae chew on roots, adult beetles attack foliage and can clip silk if populations are high enough. This interferes with pollination and can lead to poor tip fill. Q: So why mention WCR if it’s not yet a problem here? A: This species is worth monitoring because it has been moving westward for the past 10+ years, and could become more abundant if corn production increases in the PNW. Yellow sticky traps are great passive sampling tools for many pests, so in short…might as well. Gray, M. E., Sappington, T. W., Miller, N. J., Moeser, J., & Bohn, M. O. (2009). 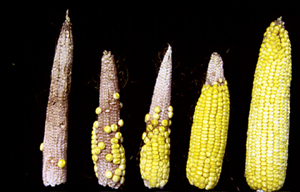 Adaptation and invasiveness of western corn rootworm: Intensifying research on a worsening pest. 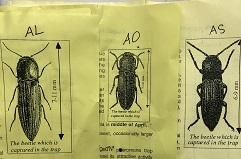 Annual Review of Entomology 54: 303-321. Murphy, A., Rondon, S., Wohleb, C., and S. Hines. (2014). Western corn rootworm in eastern Oregon, Idaho, and eastern Washington. PNW Extension Publication 662. 7 pp. Posted in invasives, rootworm, sweet corn.